Build your galactic empire in Cosmic Encounter 42nd Anniversary Edition! 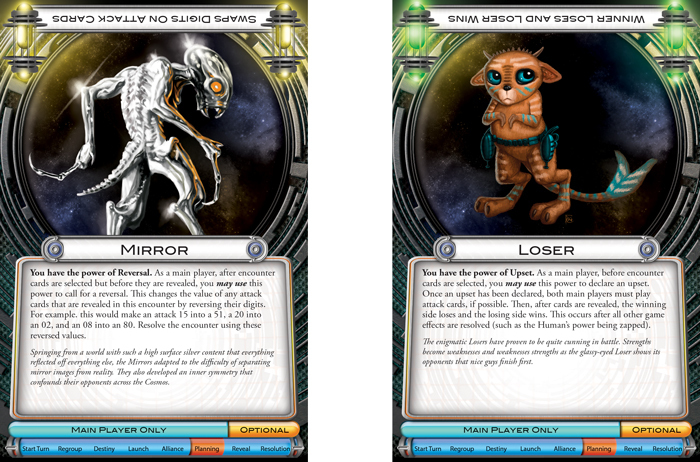 In this game of interstellar exploration, negotiation, and conflict, three to five players lead their alien species as they colonize foreign planets. But every planet is ruled by someone, and the only way to expand your civilization is through diplomacy or war. Forge your alliances, defeat your enemies, and ensure your species’ supremacy. A new species joins the classic alien lineup to help ensure no two games are ever the same! In the Cosmic Age, spaceships whirl through space, sending alien species across the galaxies to establish colonies and ensure their civilization’s dominance. 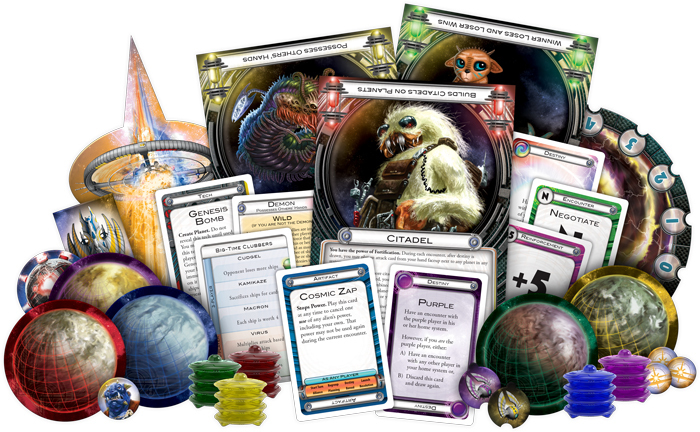 In Cosmic Encounter 42nd Anniversary Edition, you become the leader of a unique species, guiding them as they take to the stars and use negotiation, betrayal, and war to earn your victory. With advanced technology and your own special abilities, the race is on to establish the colonies needed to ensure interstellar supremacy; but be wary—diplomacy is every bit as important as strength in numbers, and you never know when a friend may become your enemy.